Grain commodity futures’ ended lower on Thursday’s session, as Soybean took the biggest losses of 2.5 percent. 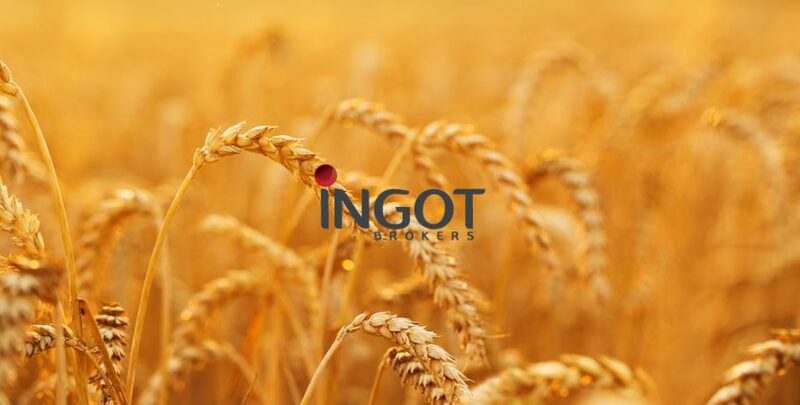 Home » Commodities » Grain commodity futures’ ended lower on Thursday’s session, as Soybean took the biggest losses of 2.5 percent. Grain commodity futures’ ended lower on Thursday’s session, as Soybean took the biggest losses of 2.5 percent, while Corn and Wheat fell by around one percent. On weather news, the drier weather forecasts are fueling a faster harvest and putting more pressure on grain prices. In the United States, the drought has shrunk for the ninth consecutive week. On the energy front, WTI Oil prices fell on Thursday’s session to close at 68.64 USD per barrel and currently trading higher at 68.87 USD per barrel at 6:40 GMT due to signs of surging demand in the world’s second-biggest oil user, China. Moreover, Brent Oil declined on Thursday to close at 79.30 USD a barrel and currently higher to trade at 79.63 USD per barrel at 6:40 GMT. CBOT Wheat December futures traded down on Thursday’s trading session due to the spillover weakness from Corn and Soybean. Wheat futures ended the session at 5.12-1/2 USD per bushel, and currently trading at 5.12-1/4 USD per bushel at 6:40 GMT. Wheat exports were slightly higher from the prior week of 12.5 million bushels to reach a total of 17.5 million bushels last week, coming ahead of trade estimate 16.5 million bushels. In mainland China, the country sold through an auction on Thursday around 0.8 percent of its total available for sale, which was 237,000 bushels of it state reserve of 2013 imported Wheat. Meanwhile, in Japan, it has purchased from the United States, Canada, and Australia through a regular tender that closed Thursday around 407 million bushels of food-quality Wheat, half of that total were sourced from the U.S. Initial volume estimates rose by 9 percent from Wednesday’s count of 55,6311 CBOT contracts to settle up at 60,374 CBOT contracts at the end of Thursday. CBOT Corn December futures were down on Thursday and failed to recover at the end of the session due to bearish USDA export data on Thursday morning. CBOT Corn futures ended the session at 3.70-3/4 USD per bushel and currently trading at 3.40 USD at 6:40 GMT. Corn exports for the week ending October 11 reached 15.1 million bushels in total sales, which was less than half of the prior week’s count of 39.6 million bushels. China the country has sold through an auction on Thursday around 81.1% of its total available for sale, which was 126.8 million bushels of its state reserves of Corn. Meanwhile, the EPA says that the United States has generated 1.22 billion blending Ethanol credits in September, which was 10 percent lower from the month before. Initial volume estimates rose from Wednesday’s count of 157,170 CBOT contracts to reach 217,736 CBOT contracts on Thursday. CBOT Soybean November futures traded lower on Thursday’s trading session on bearish export data to end the session at 8.63 USD per bushel, while currently trading lower at 8.61-3/4 USD per bushel at 6:40 GMT. The EPA said that the United States has generated around 322 million biodiesel blending credit in September, which was lower by 8 percent from August. Meanwhile in China, in the fourth quarter of 2018 is expected to import between 661 million bushels and 735 million bushels of Soybean, knowing that China accounts for around 60 percent of the world’s total Soybean imports. Initial volume estimates were up slightly from Wednesday’s count of 169,381 CBOT contracts to settle at 228,426 CBOT contracts on Thursday.